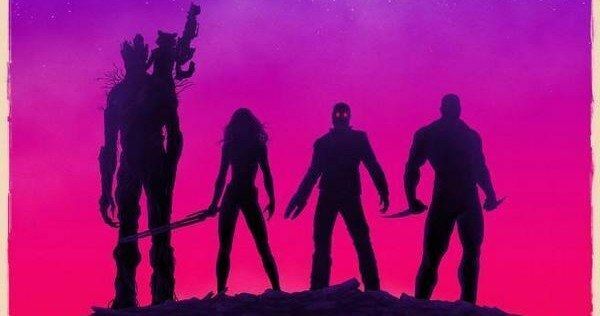 Marvel and Disney wants Guardians of the Galaxy to have the biggest Midnight debut of the summer, and to help entice fans into theaters across the country, they are giving away an awesome new IMAX poster. The first lucky few will be rewarded this beautiful new comic book inspired print, which finds the Guardians of the Galaxy team walking off into the sunset while Peter Quill's mix tape unspools in the foreground. Check it out, and then be sure to experience this Marvel Phase Two adventure the only real way: In 3D IMAX! Brash adventurer Peter Quill finds himself the object of an unrelenting bounty hunt after stealing a mysterious orb coveted by Ronan, a powerful villain with ambitions that threaten the entire universe. To evade the ever-persistent Ronan, Quill is forced into an uneasy truce with a quartet of disparate misfits-Rocket, a gun-toting raccoon, Groot, a tree-like humanoid, the deadly and enigmatic Gamora and the revenge-driven Drax the Destroyer. But when Quill discovers the true power of the orb and the menace it poses to the cosmos, he must do his best to rally his ragtag rivals for a last, desperate stand-with the galaxy's fate in the balance.